Can I view the HTML source of an email sent to my Gmail address? I'd like to see how a certain email was put together. Is there a "View Source" for emails sent to Gmail? As Jasper pointed out, click the dropdown menu next to the reply button, and select Show original. Just change the bit that says view=om to view=lg. Push Enter, and bingo: it’s no longer plain text. Now save it as .html or as .pdf. Don't know the web client of Gmail, but some way to go would be to configure different email client (e.g. Thunderbird with imap a few clicks...) where you can easily view the source of the message. I had to actually do show original, and then do view source to see the source HTML. Select Print email and it will open the link in a new window or tab, where you can right click see all the source code. Not the answer you're looking for? Browse other questions tagged gmail html or ask your own question. 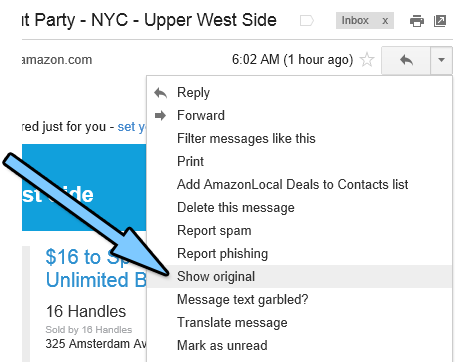 How do I change the default view option for emails to plain text in Gmail?